I love teaching character education. Learning how to be a good citizen, and to be responsible, and trustworthy, is just as important as learning how to read and write. 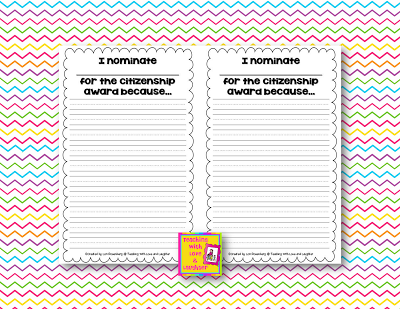 Every month, I nominate a student in my class to be the Kid of Character winner. He or she is honored with a certificate at a monthly assembly. 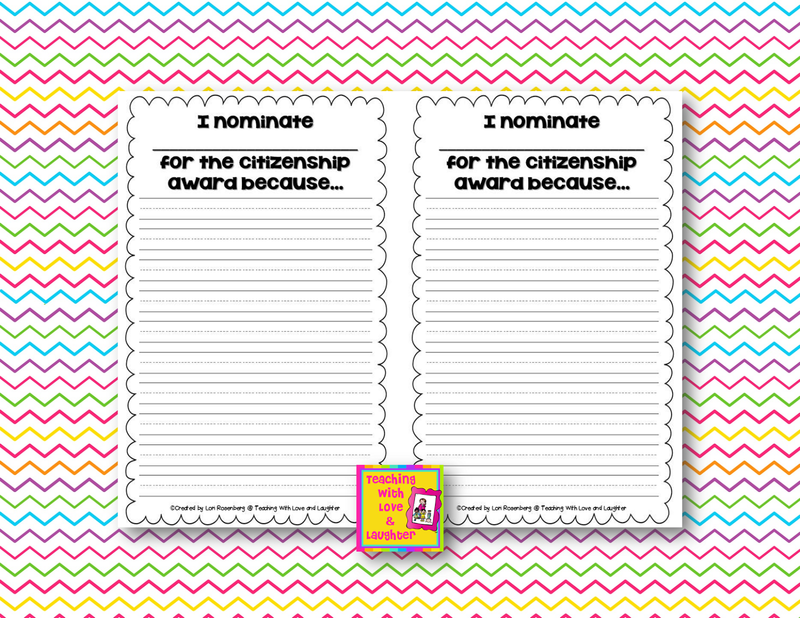 The character trait for May is citizenship and this is the last month for me to pick a winner for this school year. The other day, I looked at all my students who haven't won a certificate this year and decided that I cannot possibly choose just one of them to win. They are ALL great citizens! The good news is, each month, my students nominate someone who they think best exemplifies that character trait, and the three children with the most votes, get their name written on the board, under the person who I chose. Although they don't get honored at the assembly, they are still honored and recognized in the classroom by their peers and by me. Well, this month, I decided that I am NOT choosing the student who will be honored at the assembly. I just can't make that decision! I told my students that they are all going to fill out a ballot and nominate someone who THEY think should be the BIG winner. Not only will they tell me who should win, but they'll also tell me why they should win. Then, we'll count the ballots and the person with the most votes will be the BIG winner. In the event of a tie, we will put all the ballots in a hat and choose one. This is my ticket out of making a very tough decision! I am offering it to you just in case you want to do the same thing in your classroom. 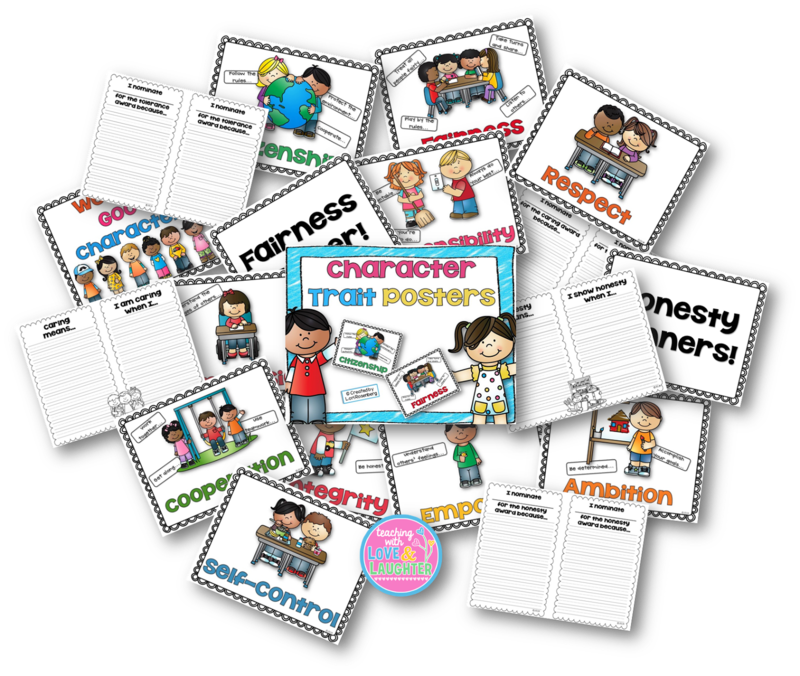 As a matter of fact, I made one for every character trait in my Character Trait Posters and Monthly Writing Activities pack. This way, next year, I don't have to make these tough decisions if I don't want to. 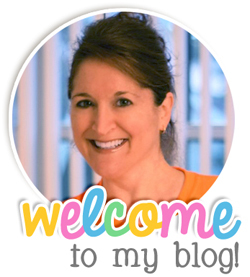 You can read my blog post on character education here. If you already purchased my pack, you can download it again and get all the nomination ballots. If not, you can still get the citizenship ballot by clicking here and clicking on download preview. What a great idea! I don't think we spend enough time on character education in our classroom-definitely something to think about for next year. Character ed. is a great class and we have a great character teacher in my school system! We desperately miss a program that we used to have where our speech teacher would come teach lessons on character traits and life skills. Things so many of our students are missing from home!